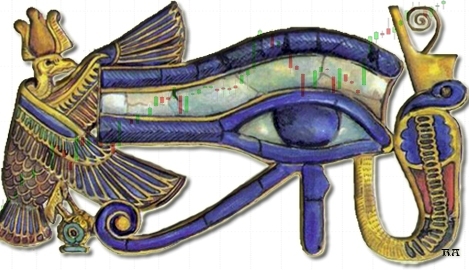 In the last Eye of Ra, on February 7, I predicted a dead cat bounce in major stock markets was imminent. I also indicated it was probable that Central Banks would try desperately to stop the drop ... and we also saw that happen with the European Central Bank taking unbelievable risks with a decision to prop up corporate bonds. Five weekends later, we need to go into ultra-cautious mode yet again because that bounce is probably very close to hitting its peak ... in Price, though maybe not in Time. In the last edition, I indicated the bounce may already be underway, with the mid to late January lows marking a turning point. That was the case in some markets, with others hanging on another few days, until February 10, to hit a final low before the bounce took off. As usual, Wall Street has been leading the pack higher. The Pollyanna index, the SP500, ended last week only about 5% off its 2015 peak. There is still a slim chance that we have not entered into Bear territory and that Wall Street could make new all-time Highs in the next few months. But, it is very slim. More likely is that Pollyanna will start to roll over again, possibly around Wednesday after Jupiter trines Pluto. 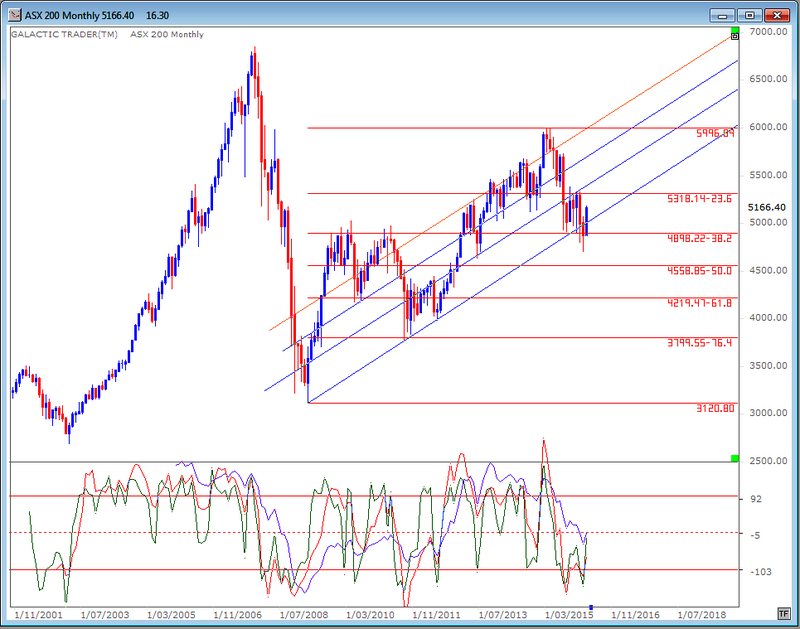 The most obvious price target is $2049, a Saturn price line on the index's long-range planetary price chart. I think there is enough positive momentum in the daily, weekly and monthly charts to get Pollyanna to those levels. In fact, it's the positive momentum, especially in weekly and monthly charts of various indices, that suggests markets are not going to hit a certain price point and then collapse and go into crash mode. Most Bears seem to be trying to call a "top-and-crash" at every single overhead resistance level and then stand there wondering what went wrong when prices just power through that supposed resistance. Simply, they're reading the wrong charts. Or reading the right ones wrongly. 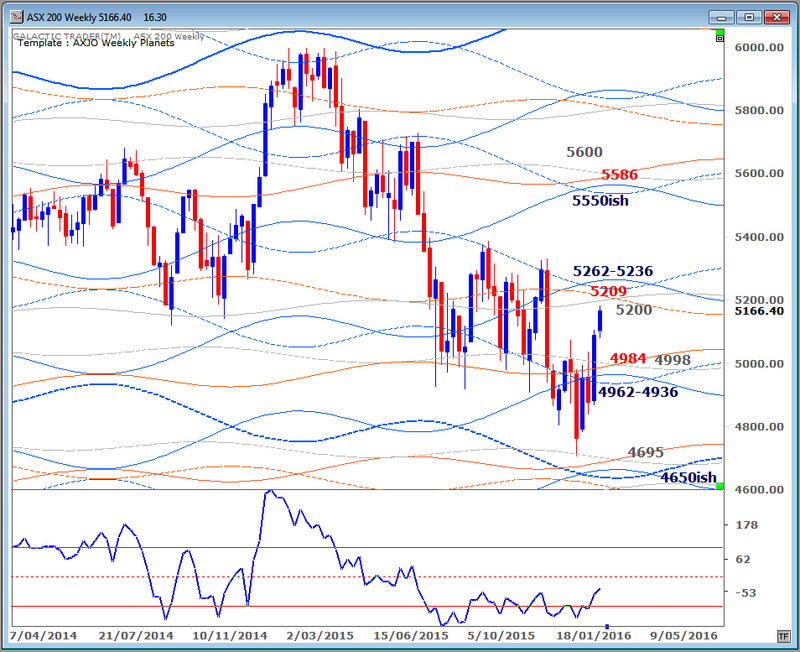 Below is the Weekly Planets chart for the ASX 200. It shows the 200 is about to run into heavy resistance. But the need to be wary of being overly Bearish ... here and now ... is the slow build-up of positive divergence in the Big Bird oscillator. It's distinctly possible it will need some Time to be sufficiently debased to warn of another imminent Bear leg down. 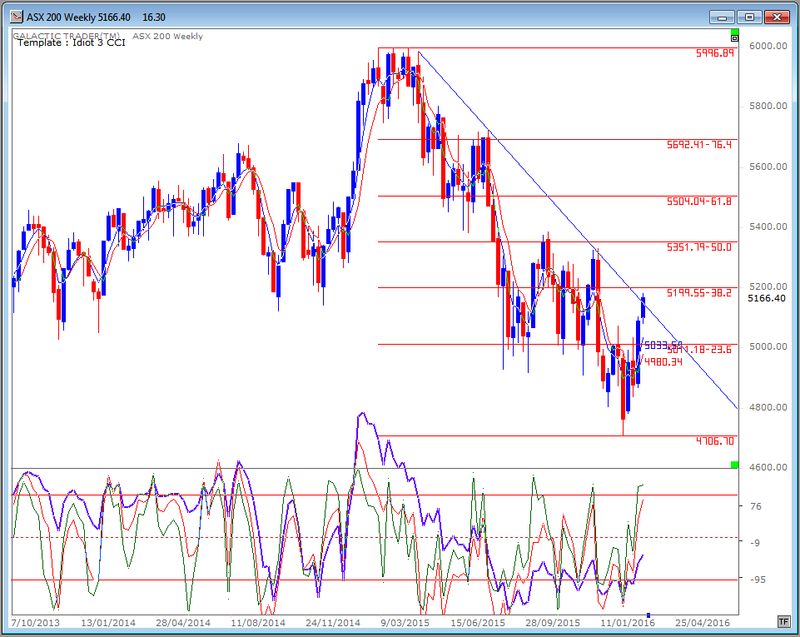 The next chart shows price is still reaching for a Fibonacci 38.2% retracement of the first downleg. It's worrying that it hasn't climbed back as far as Pollyanna, but you can see how the Fast Bird (green) and Medium Bird (red) lines mirror the Big Bird's efforts to make higher peaks at lower prices. And if that's not sufficient to warn the Bears to be just a little cautious in growling so adamantly, take note of the higher troughs in both Fast and Medium Birds on the monthly chart below. Monthly divergence. That's not something easily wiped away ... and is why I said in the introduction to this edition, we may well be nearing the peak of the bounce in terms of Price, but not of Time. Markets have an annoying habit of trying to fool the majority of investors. So, that's it for this edition. We did get the strong dead cat bounce I spoke about last time. There is a slim chance it will morph into a totally-surprising final upleg of the Bull market. 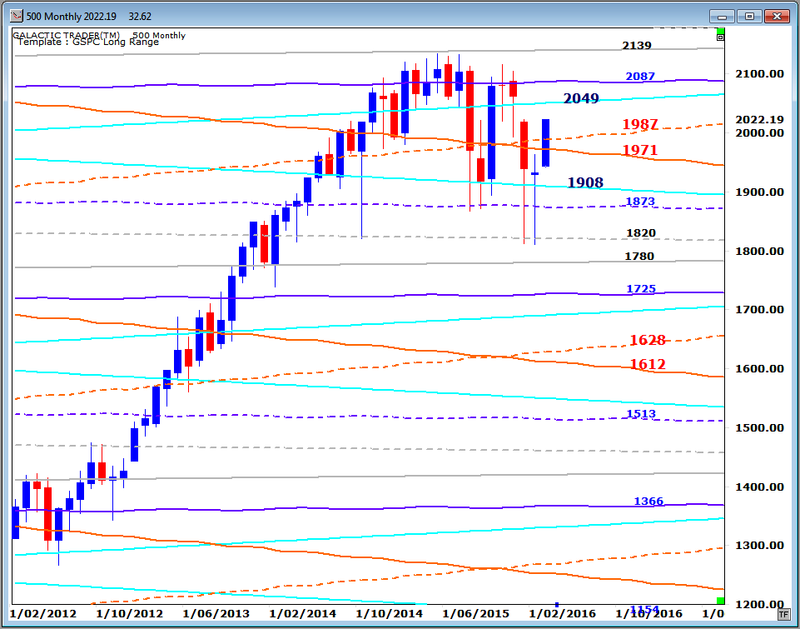 Use the monthly and weekly charts for the long and medium range targets ... up or down. And WHEN price gets near to those targets, THEN turn your attention to daily and intraday charts for signs from the momentum of the oscillators that a trend change is starting to get really close.